Cobh ( , Irish: an Cóbh), known from 1849 until 1920 as Queenstown, is a tourist seaport town on the south coast of County Cork, Ireland. 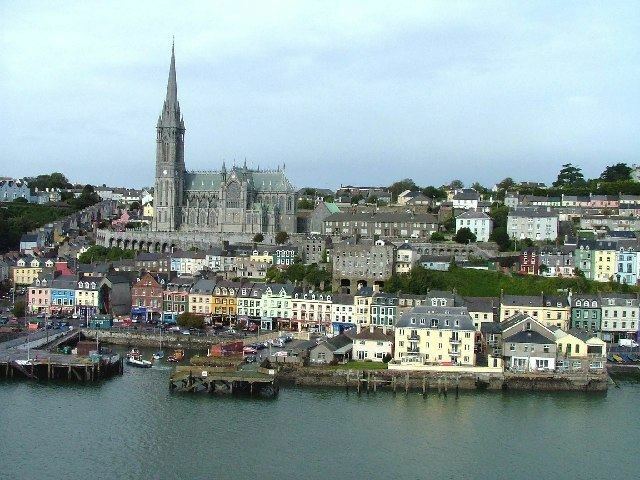 Cobh is on the south side of Great Island in Cork Harbour and is home to Ireland's only dedicated cruise terminal. Tourism in the area draws on the maritime and emigration legacy of the town - including its association with the RMS Titanic. Facing the town are Spike Island and Haulbowline Island, and on a high point in the town stands St Colman's Cathedral, one of the tallest buildings in Ireland and seat of the diocese of Cloyne. The port, which has had several Irish-language names, was first called "Cove" ("The Cove of Cork") in 1750. It was renamed "Queenstown" in 1849 to commemorate a visit by Queen Victoria. No source has been identified for when the name was officially changed to Cobh, but it occurred around the time the Irish Free State was established. Cobh is a Gaelicisation of the English name Cove and it shares the same pronunciation but has no meaning in the Irish language. According to legend, one of the first colonists of Ireland was Neimheidh, who landed in Cork Harbour over 1000 years BC. He and his followers were said to have been wiped out in a plague, but the Great Island was known in Irish as Oilean Ard Neimheadh because of its association with him. Later it became known as Crich Liathain because of the powerful Uí Liatháin kingdom who ruled in the area from Late Antiquity into the early 13th century. The island subsequently became known as Oilean Mor An Barra, (the Great Island of Barry & Barrymore) after the Barry family who inherited it. The village on the island was known as Ballyvoloon, overlooking "The Cove" and in 1743 a fort, later to become known as Cove Fort was built to the east of the village. The settlement itself was first referred to as Cove village in 1750 by Smith the historian who said "it was inhabited by seamen and revenue officials". The Cork directory of 1787 shows about thirty businesses in the town including one butcher and one draper. The Water Club established at Haulbowline in 1720 was the progenitor of the present Royal Cork Yacht Club (RCYC, now based in Crosshaven) and is the oldest yacht club in the world. The RCYC was based for many years in Cobh and the present Sirius Arts Centre used to be a clubhouse of the RCYC organisation. In 1966 the RCYC merged with the Royal Munster Yacht Club, retaining the name of the RCYC but moving its headquarters to those of the RMYC at Crosshaven at the other side of the harbour. International upheaval led to Cobh experiencing rapid development in the early 19th century. Due to the natural protection enjoyed thanks to its harbour setting, the town became important as a tactical centre for naval military base purposes, never more so than at the time of the Napoleonic Wars between France and Britain. Today, the Irish Naval Service headquarters is on Haulbowline Island facing Cobh. The wars against the French led to the town becoming a British Naval port with its own admiral, and many of the present-day buildings date from this time. The eventual cessation of hostilities dented Cobh's prosperity for a while but it soon became known as a health resort, and many convalescents came to avail themselves of its temperate climate. Notable amongst these people was Charles Wolfe who wrote "The Burial of Sir John Moore After Corunna". Wolfe is buried in the Old Church Cemetery outside the town. One of the major transatlantic Irish ports, the former Queenstown was the departure point for 2.5 million of the six million Irish people who emigrated to North America between 1848 and 1950. On 11 April 1912, Queenstown was famously the final port of call for the RMS Titanic when she set out across the Atlantic on her ill-fated maiden voyage. She was assisted by the PS America and the PS Ireland, two ageing White Star Line tenders, along with several other smaller boats delivering first-class passengers' luggage. Some sources and local lore suggest that a Titanic crew member, John Coffey, a native of Queenstown, left the ship at this time, and thereby escaped the sinking. At Queenstown 123 passengers boarded in all; only 44 survived the sinking. Cobh was also a major embarkation port for men, women and children who were deported to penal colonies such as Australia. The records of such deportations can be found in ships' log books in the Cobh Museum, which since 1973 has been housed in Scots church (a Presbyterian church until its 1969 closure) overlooking the harbour. A significant shipbuilding industry was developed in the town, and the remnants of the Verolme Shipyard today maintain many of the original cranes and hoists now forming part of an industrial and maritime heritage. The age of steam brought association with several achievements to Cobh, most notably that of the first steam ship to sail from Ireland to England (1821) and of the first steam ship to cross the Atlantic (Sirius 1838), which left from Passage West. In 1849, the name of the town was changed to Queenstown, to honour Queen Victoria who had visited Ireland during that year. Another tragically notable ship to be associated with the town, the Cunard passenger liner RMS Lusitania, was sunk by a German U-boat off the Old Head of Kinsale while en route from the US to Liverpool on 7 May 1915. 1,198 passengers died, while 700 were rescued. The survivors and the dead alike were brought to Cobh, and the bodies of over 100 who perished in the disaster lie buried in the Old Church Cemetery just north of the town. The Lusitania Peace Memorial is located in Casement Square, opposite the arched building housing the Cobh Library and Courthouse. During the First World War, Queenstown was a naval base for British and American destroyers operating against the U-boats that preyed upon Allied merchant shipping. Q-ships (heavily armed merchant ships with concealed weaponry, designed to lure submarines into making surface attacks) were called Q-ships precisely because many were, in fact, fitted-out in Queenstown. The first division of American destroyers arrived in May 1917, and the sailors who served on those vessels were the first American servicemen to see combat duty in the war. When that first convoy arrived in port after enduring a rough passage in what were little more than open boats, its members were met by a crowd of sailors and townspeople, thankful for their anticipated help towards stopping the U-boats that were blockading western Europe. Admiral Sir Lewis Bayly, commander of the Coast of Ireland station, met the senior American officer, Commander Joseph Taussig, at the dock and inquired as to how soon the weatherbeaten American ships could be put to use. "We're ready now, sir!" was the widely quoted answer from the American. The United States Navy established the Queenstown Naval Air Station on 22 February 1918 to operate flying boats. This naval air station closed shortly after the Armistice of 11 November 1918. Due to its tactical military importance, under the terms of the 1921 Anglo-Irish Treaty the port remained a UK sovereign base. Along with the other Treaty Ports it was handed over to the government of the Irish Free State in 1938. Tourism is a large employer in Cobh. Large cruise liners visit Cobh each year, mainly during the summer months, although many of the tourists are transported out of Cobh by bus to other tourist destinations. In all, almost 100,000 cruise liner passengers and crew arrive in the town each year when their ships berth right in the centre of the town at Ireland's only dedicated cruise terminal. Tourist attractions are focused on the maritime and emigration legacy of the town and include the Queenstown Story at the Cobh Heritage Centre, Titanic Experience, Titanic Trail walking tour, Cobh Museum, Cobh Road Train, Spike Island tours and St Colman's Cathedral. The town has remained largely unchanged since RMS Titanic departed from Cork Harbour in 1912, with the streetscape and piers still much the same. Facing the town are Spike Island and Haulbowline Island. The latter is the headquarters of the Irish Naval Service, formerly a British naval base. Cobh was home to Ireland's only steelworks, the former state-owned Irish Steel works which was closed by its buyer, Ispat International, in 2001. There is a controversy over the slag heap on the steelworks, where there are concerns that it may be leaching into the harbour. Another important employer in Cobh was the Dutch-owned Verolme Cork Dockyard, in Rushbrooke. It opened in 1960 but ceased operations in the mid-1980s. In 1981 the MV Leinster was built at Verolme for service on the Dublin – Holyhead route. The last ship built at Verolme was the Irish Naval Service's LÉ Eithne (P31). Some ship repair work is still carried at Rushbrooke using the drydock and other facilities. The drydock pumps are reputed to date from 1912. In the 21st century, a number of new developments were completed, such as a new retail park at Ticknock in 2008, and a leisure centre (with 25m swimming pool) in August 2007. In 2010, tours of Spike Island commenced, with tours leaving from Kennedy Pier, near the town centre. Outside of the Dublin metropolitan area, Cobh is one of the few towns in Ireland served by a commuter train service. The town is one of two termini for Cork Commuter Services. The other is Midleton. Regular commuter services run between Cork city and Cobh, calling at, among others, Fota railway station, Carrigaloe railway station, and Rushbrooke railway station, along the way. Trains run every day and the journey time to Cork is under 25 minutes. Cobh railway station opened on 10 March 1862 and was closed for goods traffic on 3 November 1975. The nearest airport is Cork Airport - which can be reached in 20–30 minutes from Cobh via the R624 road and the N25 road. The Port Operations Centre for Cork Harbour is located in the town. The port's harbour pilot launches are based at the Camber - a pier and dock are at the eastern end of the town. Currently there is only a single road that leads onto the Great Island, however a major upgrade of the R624 road is planned which is to include the construction of a new bridge (replacing the old Belvelly bridge) and road from Belvelly in the north of Cobh, to Tullagreen where the R624 road joins the N25 road from Cork City to Rosslare at the N25 Carrigtwohill-Cobh Interchange. In 1993 a Cross River Ferry was established which allowed cars and passengers to travel from Glenbrook near Monkstown to Carrigaloe on the Great Island. The crossing from Glenbrook to Carrigaloe takes four minutes and runs daily. Reservations are not required. 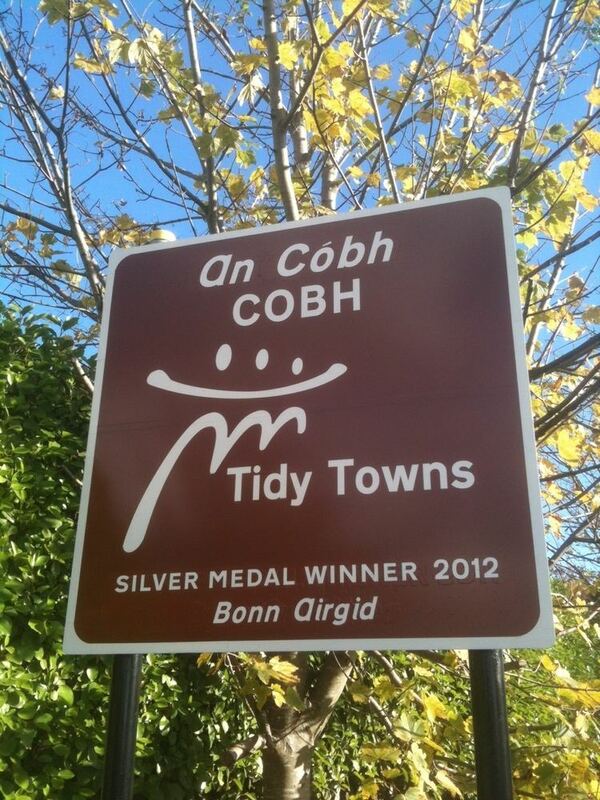 Cobh Town Council is the local authority governing the town. It consists of nine elected Councillors who work with the administrative, executive and technical staff, led by the Town Manager. The Town Council has a range of functions which serve the people of Cobh. As of June 2009 the political make-up of the council is 3 Labour Party, 2 Fine Gael, 1 Fianna Fáil, 1 Sinn Féin and 2 independent councillors. The contact details of current Cobh public representatives can be found on the website of the Cobh Town Council. The town is also part of the Midleton Electoral area for elections to Cork County Council and is in the Dáil constituency of Cork East. As part of a cost-cutting review of local government instituted by Environment Minister Phil Hogan, Cobh Town Council and the 79 other such local authorities in the Republic of Ireland are to be abolished from 2014. New local boundaries will also apply at County Council level with a new 7-seat electoral area to be called "Cobh" which will extend from Glenville to the borders of Cork City, to Glanmire and eastwards to Cobh and Carrigtwohill. 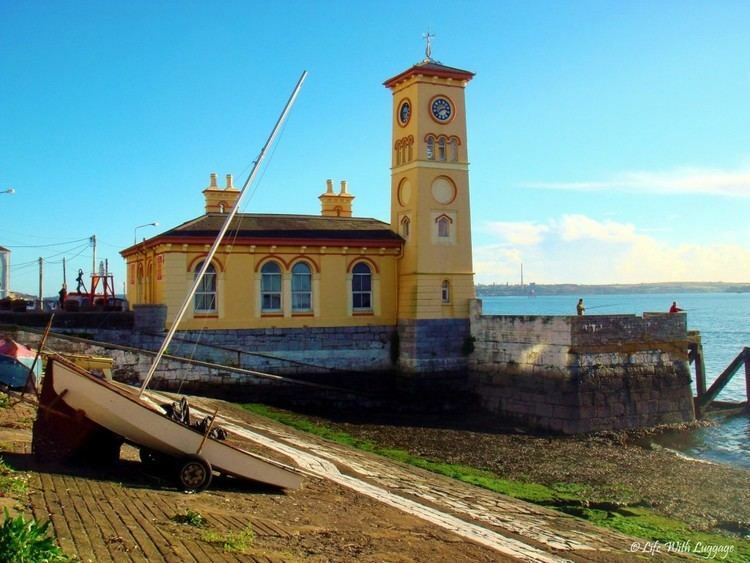 The Sirius Arts Centre is a hub for the arts in Cobh and is located on the waterfront. It hosts cultural events and music concerts both in-house and around Cobh. The Cobh Peoples Regatta is held every year around August, and a cultural highlight of the summer. The event includes on-stage performances from local musicians and performers as well as a pageant to decide the 'Regatta Queen'. The festival typically ends with a fireworks display over the harbour, and attracts up to 20,000 people. Cobh was the setting for the 2009 Connor McPherson film The Eclipse and also used as a filming location for the 1999 movie Angela's Ashes. 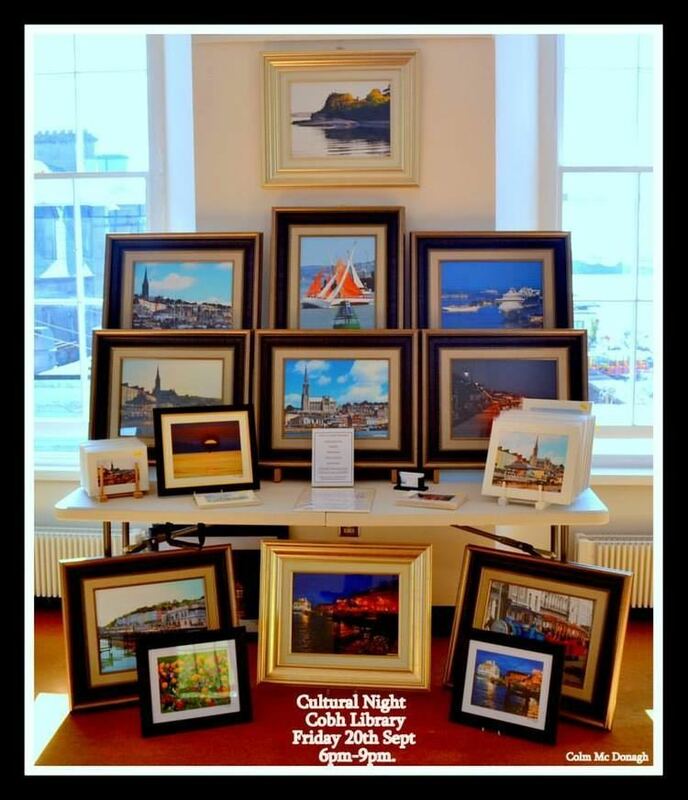 Cobh has several primary and secondary schools including Colaiste Muire secondary school and Cobh Community College. In 2010 a planned new school development was drawn up by the Department of Education and Skills. Scoil Iosaef Naofa is a boys primary school in the town, and has reached the 'Sciath na Scoil' final for three years in a row in the hurling and in gaelic football. Anne Elizabeth Ball (1808–1872) and Mary Ball, (born Cobh, 15 February 1812), were sister pioneering scientists who contributed to the knowledge of Irish flora and fauna. They are noted as eminent scientists in the history of phycology. Nellie Cashman, philanthropist and gold prospector. Patsy Donovan, US major league baseball player. Jack Doyle, boxer, actor and crooner. Frederick Edwards, recipient of the Victoria Cross. Robert Forde, (1875–1959) Antarctic explorer. Stephen Ireland, Stoke City footballer. Roy Keane, former Manchester United footballer, started his professional career with Cobh Ramblers. Fergus O'Rourke, Zoologist was resident in Cobh while Professor at University College Cork. Thomas H. O'Shea, Irish Volunteer and US labor leader. Sonia O'Sullivan, silver medalist in the 5000 m race at the 2000 Sydney Olympic Games. James Roche Verling, personal physician to Napoleon Bonaparte during his exile in St. Helena. Patrick Walsh Emeritus bishop of Down and Connor was originally from Cobh. Joseph Wheeler, 19th century founder of the Rushbrooke ship yard. Cobh GAA is a center for gaelic games located at Carrignafoy, with teams ranging from nursery to adult ages. Cobh Pirates RFC are the town's rugby club, and compete at Junior 1, Junior 2 and under-age levels. They play their home games at 'The Paddocks' in Newtown, where facilities include a gym, two playing pitches, a training pitch and a rubber training surface. The Cobh Pirates Ladies team was formed in 2010. Cobh's most noted football team is Cobh Ramblers, where Roy Keane started-out before transferring to English side Nottingham Forest, and Stephen Ireland started his career with the club's underage, Springfield Ramblers. Ramblers play in the League of Ireland First Division, with home games at the 5500 capacity St Colman's Park. Cobh Golf Club has an 18-hole championship course at Marino on the main R624 road into the town. There are two coastal rowing clubs in the area, Rushbrooke Rowing Club and Cobh Fishermen. Rushbrooke Rowing Club is the larger of the two and was established in 1989. Both clubs compete with Yawl class rowing boats and in the Cork Coastal Rowing Association Championship. The annual "Escape from Spike Island" triathlon was first held in 2012 and organised by Cobh Triathlon Club. It now takes place annually in late summer, with both Olympic distance and sprint distance courses. The first "Great Island 10" (a 10-mile road race) took place on 18 April 2010, to raise funds for the Irish Cancer Society. Cobh is home to one of the oldest existing tennis clubs in Ireland, Rushbrooke Lawn Tennis & Croquet Club, founded in 1870.